PHPI gets the lowdown from Energenie on how the business is supporting engineers looking to profit from the opportunities available from the smart home sector. Are you ready to embrace smart home? Smart home consumption is growing at a rapid rate. The UK is now the continent’s second largest consumer of smart home products, with 85% of the UK’s online population now owning at least one smart device. Recent consumer research also shows that 66% of homeowners want professionals to install their smart home products. If you want to meet the rising customer demand for smart home products, now is the time to add smart home installation to your customer offering. With this in mind, Energenie’s MiHome has teamed up with Icon Heating Solutions to offer a new smart home installation service, Smartnet, with growth plans to expand their network of qualified plumbing and heating engineers and installers across the UK in the next 12 months. What are the benefits for installers? 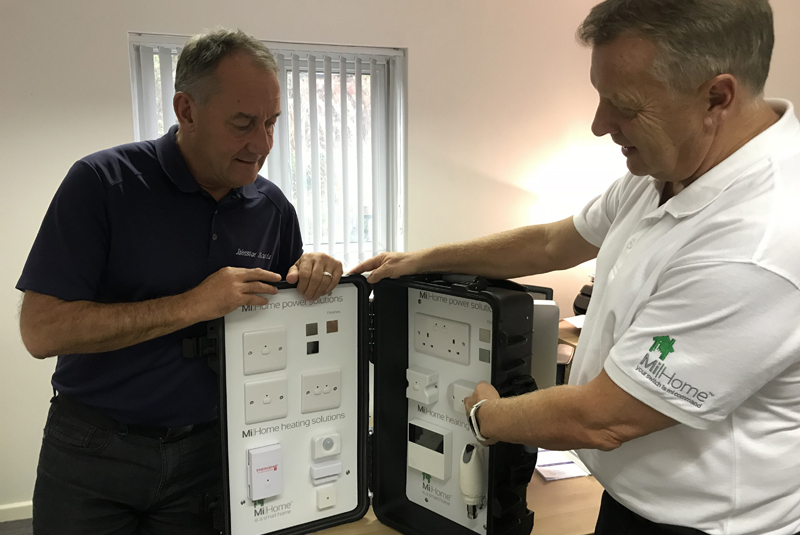 For installers, it means they can add easy-to-install smart home products to their customer offering to grow their business without having any IT skills, as MiHome products are retrofit installations and require exactly the same wiring as standard sockets and switches. Heating products within the range include smart thermostats and radiator valves. What is the opportunity for installers in the UK? Smartnet was formed out of the realisation and changing trend following the anticipated smart home growth in the UK. The introduction of boiler plus legislation in 2018 confirmed there was a new opportunity for smaller businesses to bring added value to their business, whilst meeting new legislation requirements. Heating engineers, electricians and plumbers are competent people who undertake their daily duties skilfully and effectively, demonstrating to the end users how to use their systems cost effectively and efficiently. Moreover, as they are already working in the property, many installers are able to offer their customers a whole range of smart home services to suit customer needs across heating, power and lighting devices. What smart home products are available to installers? MiHome produces a range of affordable heating, lighting and security products ideal for the smart home. Products are compatible with Amazon Alexa, Google and Nest and come in a range of finishes so that individuals can choose products to match the style of their homes. The products are controlled via the MiHome Gateway, which enables customers to control their lighting, heating and devices remotely via the app – whether it’s via temperature, timings or geofencing. Are you ready to offer smart home? Kevin Phipson, Director of Icon Heating Solutions, who is managing Smartnet’s operation in the UK on behalf of MiHome, outlines the important factors when determining whether your business is ready to offer smart home customer solutions: “As well as the competency and/or relevant qualifications to do the job well, it’s also important to be a forward-thinking company who either has, or is willing to diversify their business to include an integrated skill set of employees such as plumbers, heating engineers, electricians and IT experts so they can offer a one-stop solution to their customers. “Learning the core values and developing an understanding of how smart controls will help the end user achieve cost-effective energy-saving solutions for their home is also key. If you can successfully explain the benefits to the consumer, you will develop a better customer relationship and they will buy more.